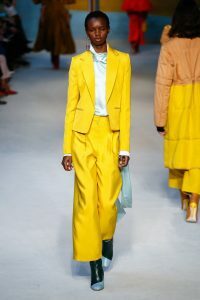 It is no secret that the fashion industry has been gradually reconstructing itself in recent seasons, particularly in terms of the categories of menswear and womenswear. Following countless headlines being dedicated to the question of gender identity, it is only natural that the industry is following suit. With hugely respected designers re-imagining time-honoured traditions related to what men and women should and should not wear, many have gone as far as predicting the future of fashion as completely gender-free. Whether or not these predictions will prove accurate, it is important to note the progress to date in highlighting that gender is a concept that is entirely open to interpretation. While this idea may seem relatively new, male icons of rock ‘n roll have been bringing an increasing fluidity to the way they dress since as early as the 1950s, when Elvis Presley turned heads with his strikingly feminine, bedazzled jumpsuits and statement eye makeup. Rock music is known for its bold disobedience and divergence from social norms. However, one aspect that is often overlooked in relation to rock music’s influence on society is the fashion that its icons have donned over the years. Its alignment with gender-neutral fashion certainly did not die with the King of Rock. The 1960s and 70s saw stars such as Jimi Hendrix, Mick Jagger and Iggy Pop gradually emerge as fashion icons as a side effect of their musical fame. Hendrix was at the height of his career during the 60s, and so was his psychedelic fashioning. His signature style broke down gender boundaries by collaborating military-style suits with loose-fitting silk blouses, complete with bold and colourful patterns that encapsulated the hippie movement of the decade, and simultaneously anticipated the increasing shifts towards androgyny in modern-day fashion. Like Hendrix, Mick Jagger was fond of bold, feminine-cut suits. Of course, Jagger also took to the stage with The Rolling Stones back in 1969 wearing a white dress – the epitome of the swinging sixties. 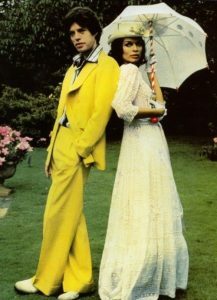 Mick Jagger pictured with his former wife, Bianca, wearing a suit that is almost identical to a women’s yellow suit which was shown in Roksanda’s Fall 2019 ready-to-wear collection. 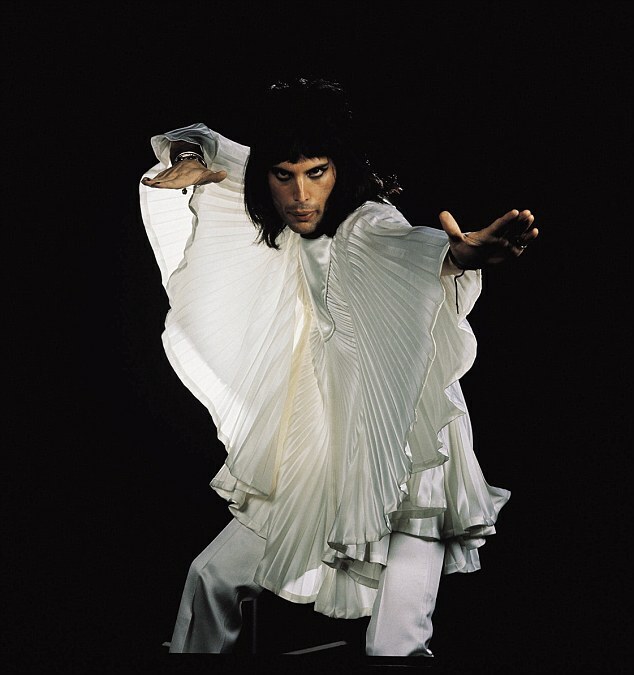 Cross-gender dressing was carried into the 80s glam rock scene by the king of Queen, Freddie Mercury. Synonymous with flamboyance, Mercury proved that although shopping in the women’s section may pose some anatomical issues, no garment was born male or female. 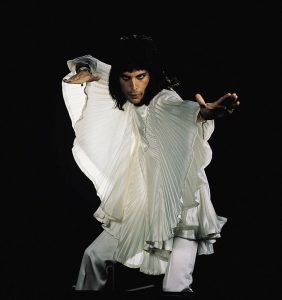 The immortal legacy of Mercury, as well as David Bowie, Prince and Michael Jackson means that gendered clothing is continuing to become less and less polarised. Their risqué attire undoubtedly had a long-lasting effect on the fashion industry. Louis Vuitton’s Spring/Summer 2019 collection exhibits a clear ambiguity when it comes to masculinity and femininity, eradicating gender-specific dressing one outfit at a time, while the opening night of this year’s Paris Fashion Week saw men hitting the runway in true Jagger fashion: wearing women’s dresses. It is undeniable that the fashion worn by rock icons over the years has brought about seismic cultural shifts. Of course, not everyone is brave enough to follow the trends exhibited on the runway, but with even the most alpha-male figures of today’s music industry (from Kanye West to Chris Brown) donning women’s clothing, and female stars such as Madonna and Lady Gaga adopting the same modes, it must be acknowledged that while the path to genderless fashion becoming mainstream is still under construction, in terms of the music industry, this path was paved long before now.